Yesterday we featured Studio Lorier’s design Branch-out, a lamp, table, and flowerpot in one. 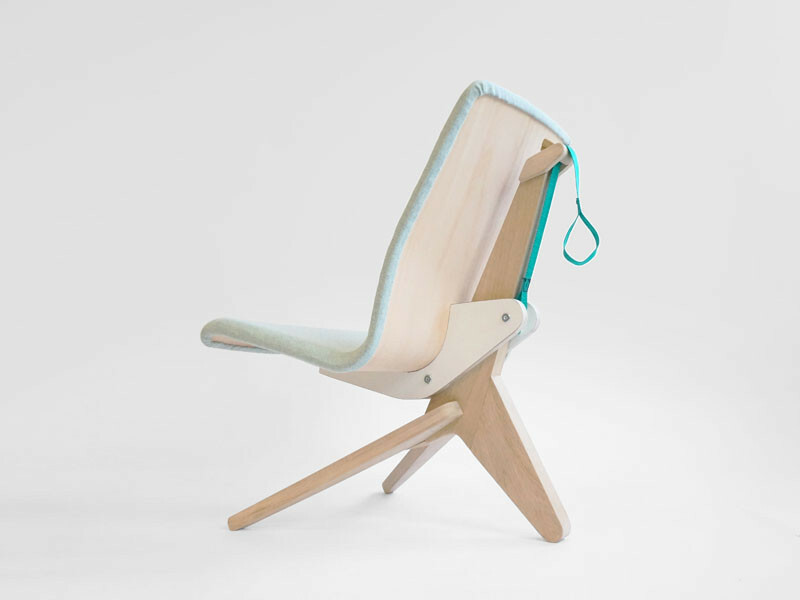 Today we’ve got another of their interesting designs to show you, the Hybrid Chair. 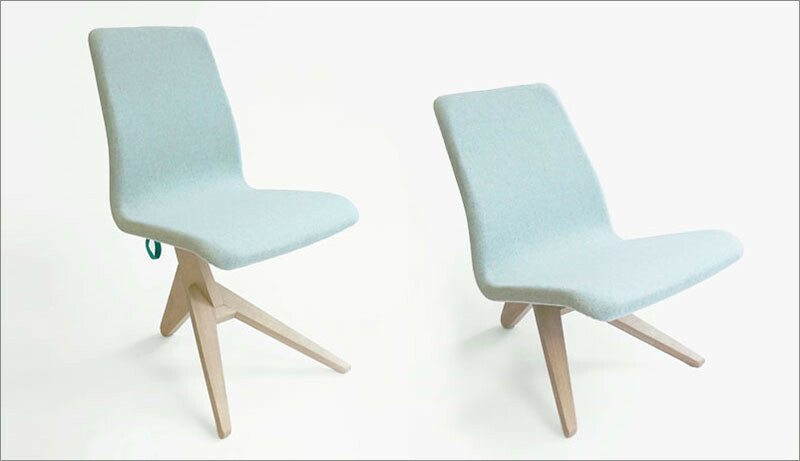 The Hybrid Chair can be a desk chair, dining chair and a lounge chair, depending on the height you want. The chair is an ideal mix for people that live in small spaces and don’t want multiple chairs. Its easily adjustable, you just unlock the textile band, and you can slide the chair to the desired height. The three legged frame is made of locally sourced solid oak wood, and can be upholstered in a wide variety of the wool fabrics.